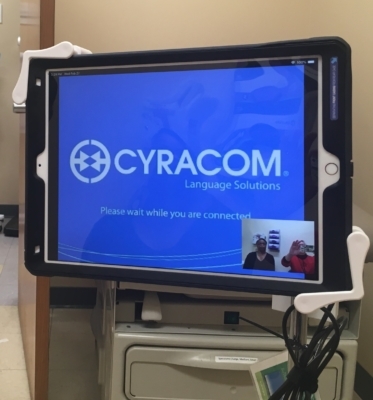 The new translation service uses iPads to place video calls where the translator, patient and provider can all see each other and communicate openly. It has just gotten a little easier to communicate across multiple languages while visiting with your providers at Swope Health. 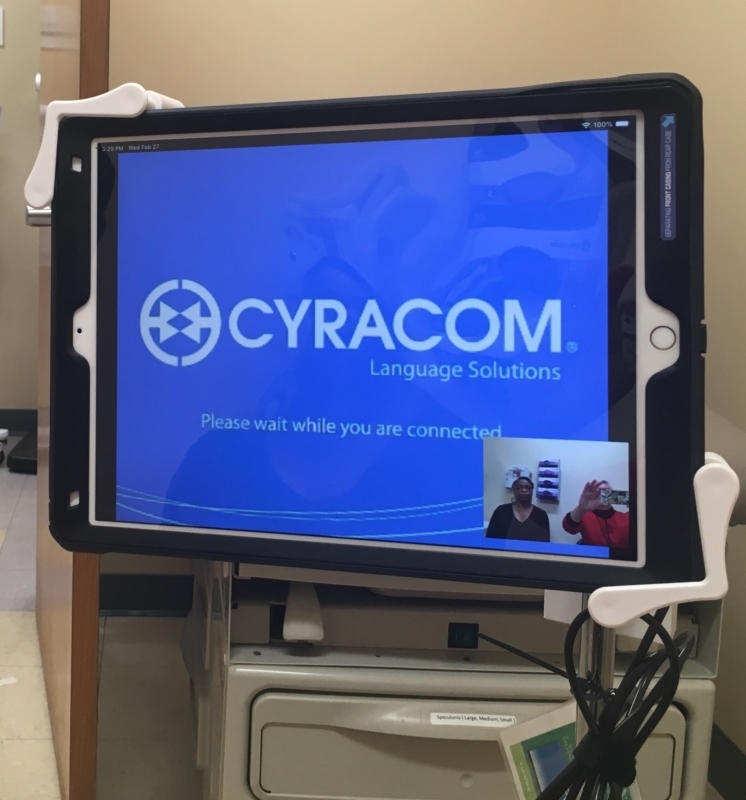 That’s thanks to a new mobile translation service offered on iPads in a feature that looks and feels familiar to patients, a lot like using FaceTime or other video chat services. Sharon Trongaard, Adult Medicine Practice Manager, says the new service, provided by CyraCom, is an improvement over the previous method. In the past, when a patient or provider needed translation services to communicate, they would both move to the one room in the Adult clinic that was equipped with a phone. Then, using the landline phone, they’d place a call to the service and have communications translated by the person at CyraCom. Monique Anderson, Registered Medical Assistant, is a fan of the new system, which has been in use almost three months in the Adult Clinic. At the other end of the call, CyraCom translators can see the patient and provider. The translators can also observe body language and help facilitate good information sharing across more than 100 languages, including sign language. With the successful trial in the Adult Clinic, Swope Health will begin adding the mobile translation stations to all clinics. Don’t let language stand in the way of your health care. Make an appointment to visit Swope Health at (816) 923-5800 and be confident you will be understood in your native language. 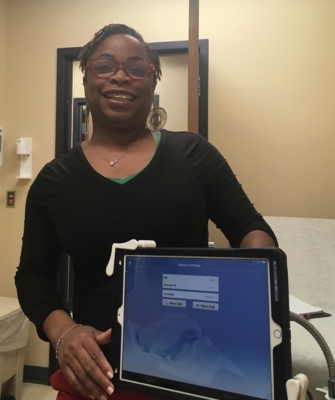 Adult Clinic Medical Assistant Monique Anderson enjoys using the new system, which uses video calls to facilitate better communications between patients and providers speaking different languages.